After some trials and tribulations we are happy to announce that our Cold War 84 1/144 scale US Army models are now back on track. The first vehicle release will be the M1 Abrams MBT – the original version with the 105mm Gun. The hull and turret are cast in a high quality polyurethane resin, with the gun barrel, met sensor and .50 HMG cast in white metal. 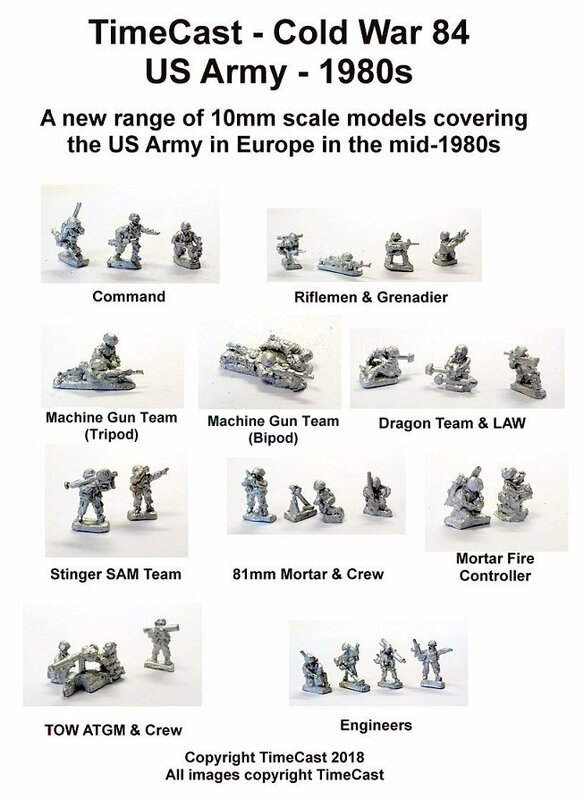 The US infantry are also now in production and we will be releasing them, as well as the M1 Abrams at the Warfare show at reading on the weekend of 17th-18th November. The new models will be going up on our web site very shortly for those who wish to order on line. Finally we have various versions of the M113 APC on the design desk – the basic vehicle (including a version with extra stowage – cams nets etc), the M106 and M125 mortar carriers and the M577 Command Post Vehicle. These are planned for release late in November and December. The bore evacuator looks more like an M1A1's, but nice model regardless.